Christmas skiing at Park City. ‘Tis the season—for skiing. Celebrate the holidays on the ski slopes with our definitive guide to free Santa skiing, torchlight parades, Saint Nick visits, and New Year’s celebrations at Utah’s ski resorts. 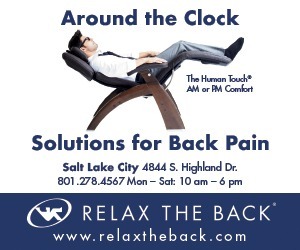 Whether you’re a local or just visiting the Wasatch Mountains, even a Grinch will be delighted by the holiday celebrations in Utah’s mountains. Ring in 2019 at Alta’s annual torchlight parade. 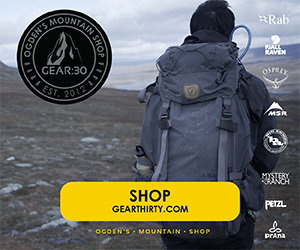 To participate you must wear goggles and be an intermediate skier or above. An adult must accompany children, and all my participants must bring their own lights. Be creative, but note that open flames are not allowed in the parade. Lifts load at 5:15 p.m. Parade and fireworks begin at approximately 5:45–6:00 p.m. on New Year’s Eve. 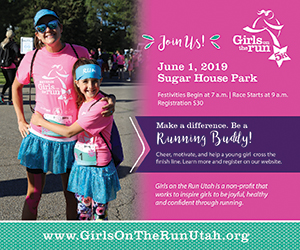 Entry fee is $10 for skiers; proceeds go to the Utah Food Bank. Beaver Mountain is closed Christmas Day, but open on Christmas Eve and New Year’s Day. Ring in the New Year in Southern Utah with night skiing, live music, plenty of food, a torchlight parade on the slopes, and fireworks. Win swag and show your skills with this afternoon rail jam on Saturday, January 5. 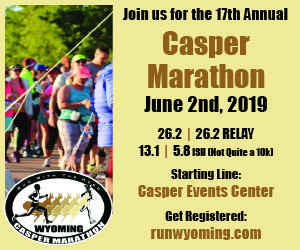 Register to participate and have a chance to win swag from Brian Head and contributing vendors. Followed by live music at last Chair Saloon. 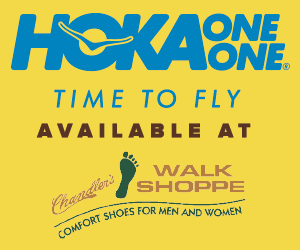 Ski or ride for just $20 on December 5, 12, and19 with your donations to local charities. Bring a new unwrapped toy for Utah Foster Care Foundation (Dec. 5), new winter clothing (hats, socks, gloves, etc.) for the Road Home (Dec. 12), and a bag of non-perishable canned food for the Utah Food Bank (Dec. 19) to get your discounted lift ticket. 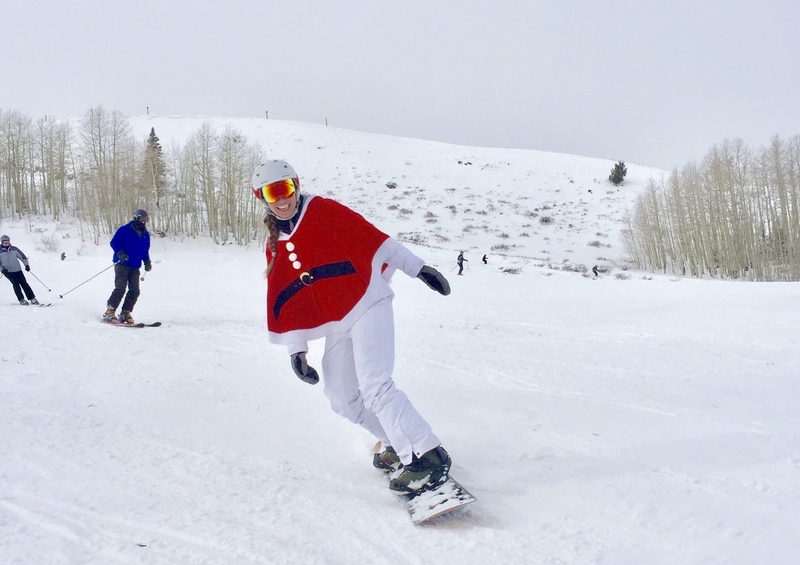 Dress as Santa and ski for free on Christmas Day. Partial costumes don’t count, so make sure you wear a red suit, beard, and Santa hat to qualify. Arrive early; free skiing limited to first 200 Santas. 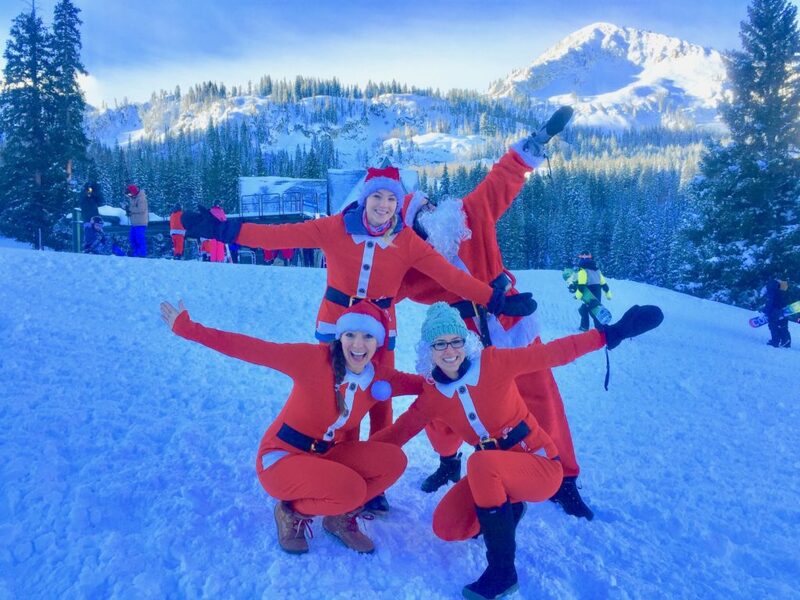 Ski on Christmas Eve and visit Santa in the Snow Park Lodge area from 9:00–11:00 a.m. and in the Silver Lake Lodge area from noon–1:30 p.m. Bring your camera/smartphone to take pictures with Saint Nick. This annual parade begins at dusk (around 6:00 p.m.) December 30 on Bald Eagle Mountain’s Big Stick ski run. Complimentary hot chocolate and cookies served on the Snow Park Plaza from 5:30–7:30 p.m. Snow Park Restaurant will also be open for dinner. 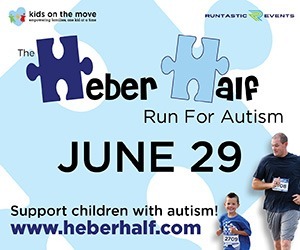 For more information, call 435-649-1000. 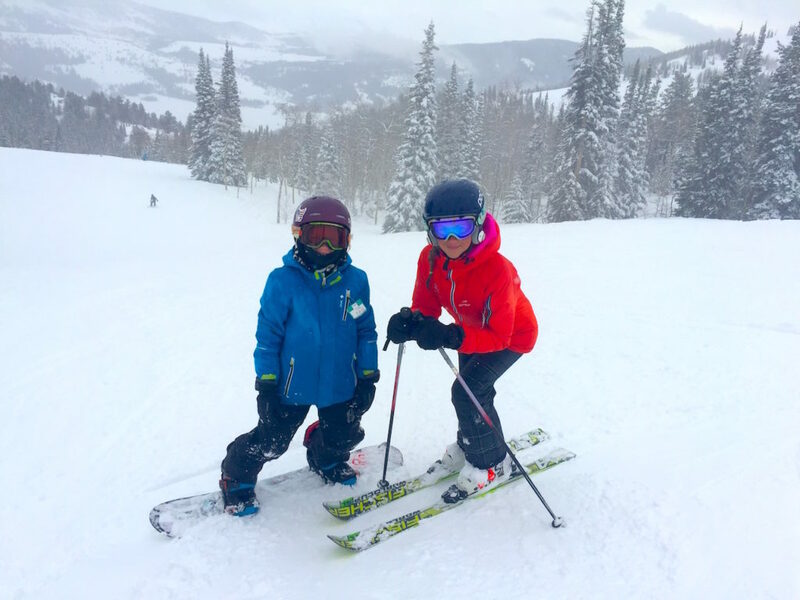 The resort opens for the season December 21 and remains open daily until January 6, 2019 before switching to a Friday–Monday schedule. Resort opens for the season December 8. 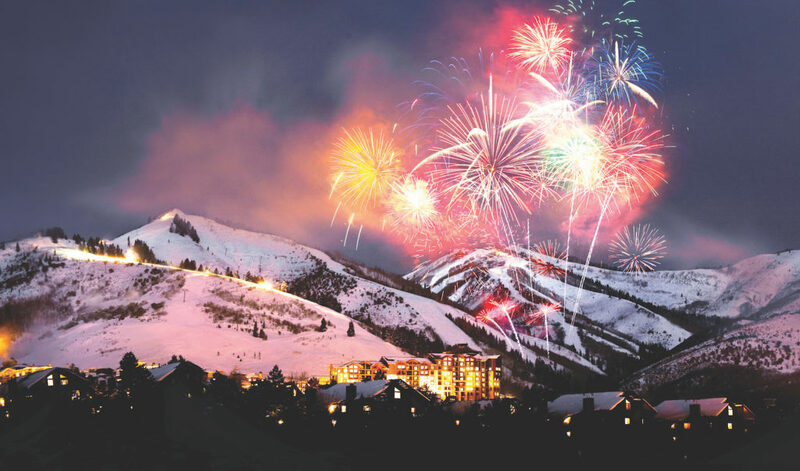 Ring in the New Year with a family ski day followed by a torchlight parade and fireworks display. Welcome Santa to Park City on Saturday, December 15 at 5:30 p.m. on the Town Lift Plaza. The evening features live jazz music and complimentary hot chocolate and cookies while you wait for Santa to ride in on the Town Lift in his lit-up sleigh. Photos with Santa courtesy of EpicMix Photo. Visit Park City from December 22–January 6, 2019 for a 16-day winter festival featuring live musical acts, Santa sightings, fireworks, s’more roasting, ice sculptures, and winter fun. Get in the holiday spirit on Christmas Eve at this long-running torchlight parade. Listen to festive music while enjoying free hot cocoa and cookies beginning at 5:30 p.m. at the Park City Mountain Village. As the light fades, ski and snowboard instructors lead Santa down the PayDay Trail in a traditional torchlight parade. Ski with Santa during the day, then enjoy a traditional Christmas dinner at Earl’s Lodge from 4:30–8:00 p.m. on December 24. No reservations are accepted so come early to get your spot. Hot cocoa and other refreshments will also be available at the lodge. Santa arrives at 5:30 p.m. for photographs with the kids. Torchlight parade, fireworks, and viewing festivities begin at 6:30 p.m. and are FREE to attend. Hanukkah candles will be lit in a traditional ceremony every evening at sundown from December 2–9 at the Cliff Lodge. Guests are welcome to bring their menorahs. Join the ‘Santa Squad’ on Christmas Eve at the Bird. 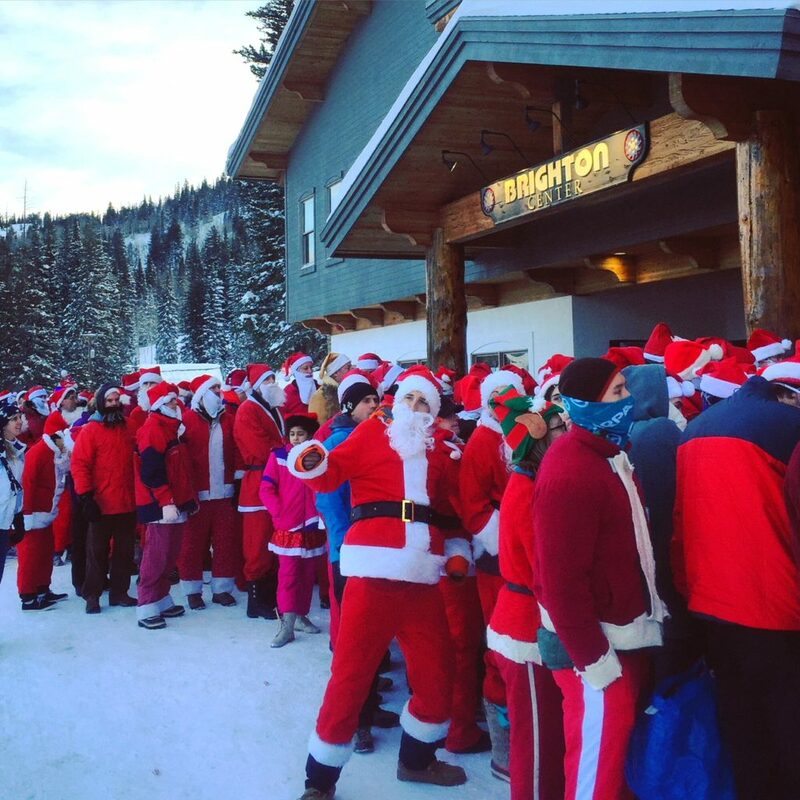 The first 75 people dressed in a complete Santa Claus or Elf suit ski/ride free at Snowbird on December 23. Register at the Activity Center from 9:00–10:00 a.m. and meet outside the Activity Center at 10:00 a.m. to be escorted to a special Santa Express Tram. Arrive early! On Christmas Eve, stay after skiing for bonfires on the Plaza Deck followed by the Torchlight Parade, fireworks, and Santa rappelling from the Tram at approximately 6:00 p.m. Candelight Christmas Eve Service at 7:00 p.m. in the Snowbird Center. 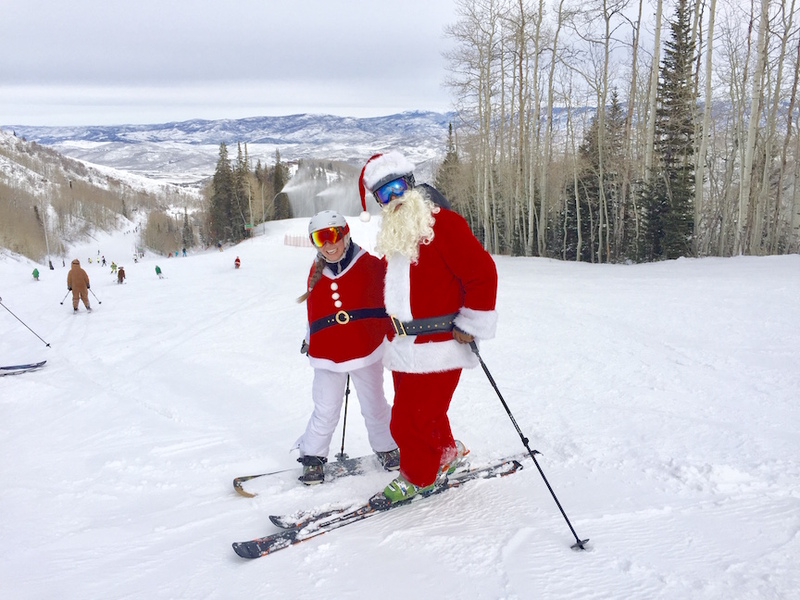 Catch Santa and Mrs. Claus on the slopes from 9:00 a.m.–3:00 p.m. on Christmas Day. Kick off your New Year’s Eve celebration with fire pits, hot cocoa, and waffles from 6:00-7:00 p.m. on the Plaza Deck. Torchlight Parade begins at approximately 6:00 p.m. followed by fireworks display at 6:30 p.m. Stay after for a DJ and New Year’s Eve party in the Wildflower Lounge.